Public diagonal street parking in front of the restaurant. Patio viewing Windsor Lake and Boardwalk Park open seasonally. Summer Concert Series features free live music at Boardwalk Park every Thursday evening in the summer months, concerts can easily be seen and heard from Chimney Park patio. Check Town of Windsor's website for a full list of events and activities. Chimney Park Restaurant & Bar, established in 2007 by chef and owner Jason Shaeffer merges the refined elements of dining with a feeling of accessibility and simplicity. The restaurant has become a regional, state-wide and national dining destination in Northern Colorado. 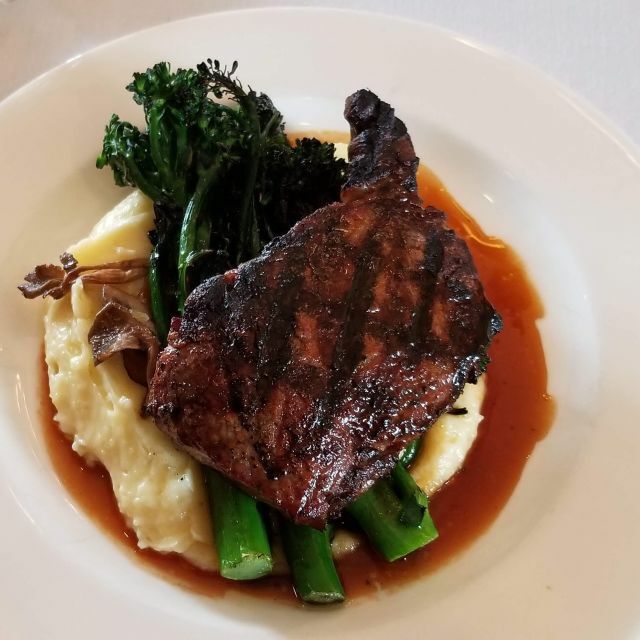 In recent years Chimney Park has won the DiRoNA Award of Excellence, OpenTable.com Best Restaurants in America, 2011 and 2015 and Wine Spectator Award of Excellence 2014 through 2019. Housed in historic downtown Windsor, Chimney Park’s original building from 1895 has undergone a recent renovation in 2017, the restaurant’s 10th anniversary. Chef de Cuisine, John Gutierrez sources local, seasonal and organic products from Colorado and the surrounding region. Whether it’s a special occasion, evening with friends or nightly happy hour in the bar, Chimney Park offers an approachable, sophisticated atmosphere! Odell Brewing, Cloud Catcher I.P.A. 48.00 for eggs benny. ???????????? wow. the ivy in LA eggs were 33. check it out. and it came with all the champagne you want. Lovely food, best Martini I’ve had in a while, brilliant service. Quite a surprising treat in NOCO. Overall, a nice dinning experience. However, the server saw a little lackidasical. She seemed to be preoccupied by other tables and provided just "adequate" service to our table. Monty, thank you for your review! All of the other tables in your area chose the Chef’s Tasting with Premium Wine Pairings. It does require more service in that every dish, every wine pairing needs to be described, as there is no written menu. Chefs also deliver and describe the dishes. Each table of two receives 10 different food items and 10 different glasses of wine, therefore more time for the server at each of those tables. Please contact us if you would like to discuss further, thanks! We met our friends, one who is a CPA, to celebrate the end of tax season. Even on Monday evening, CP was fairly bustling. We arrived just in time to take advantage of a Happy Hour cocktail in the bar, and found a number of unique offerings. The Xochitl and the Winter in Bombay cocktails started the evening in a fine way. Dan was our server and did an outstanding job meeting every need, even though his voice wasn't quite as low and raspy as we would have preferred!! (inside joke). We were also greeted by chef John, and chef/owner Jason. We are always made to feel like family at CP. We could not make up our mind between the fish special, which was a Norwegian Trout, and the bison, which is always one of our favorites. So....CP provided my wife and me with a surf and turf special, which was outstanding. 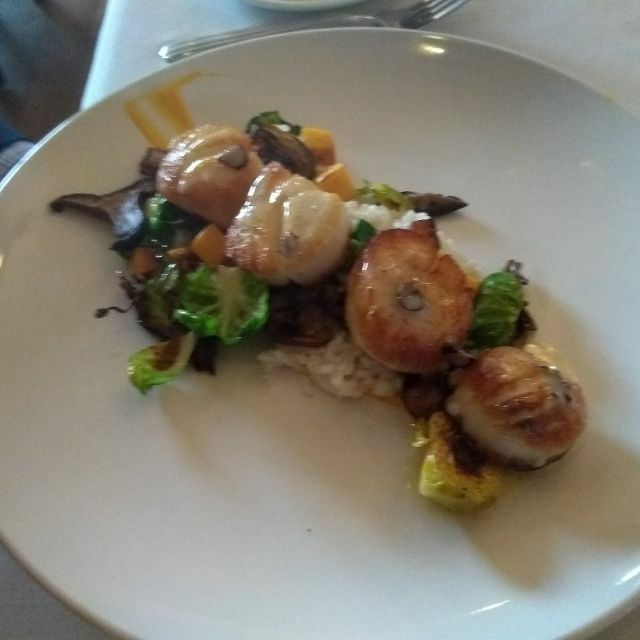 Our friends gave rave reviews to both the lamb and the scallops. Wine selections are always spot on, and we were provided with a tasting of several wines before deciding. As always, first class service, followed by first class food. You cannot go wrong with anything offered at CP. Chimney park is without question the best fine dining in NoCo. The table service by Dan is impeccable. Worth every penny. We’ve been to Chimney Park several times before. We usually love it, but this past weekend our experience was not excellent like our other experiences have been. Not sure what went wrong, but overall we felt our food wasn’t as top notch, and the restaurant felt crowded. There was a table set up by the bar that felt like it was right in the middle of traffic flow to the door. Seems like maybe they were trying to cram too many people into the restaurant. My husband’s pheasant breast was not nearly as tender as expected, and our octopus seemed like maybe it was overly charred. Celebrated our 14th anniversary for our company, had a great dinner! Never disappointed in the bison ribeye. Perfection. A must try for fine dining! Great ambiance, knowledgeable service, fantastic menu. This was truly an outstanding meal and experience. We were there to celebrate a special birthday, and everything was perfect. Unobtrusive, intelligent servers, blessedly quiet and congenial atmosphere. And the food -- just exquisite. We had foie gras, crab cakes, scallops and cod and everything was stellar. Every bite is a pleasure and the work and care that go into the preparation and presentation are obvious. 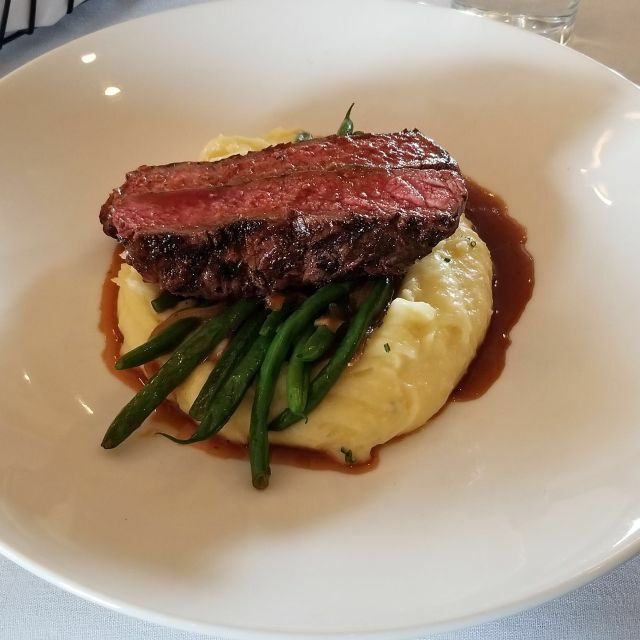 Chimney Park might have the best cook(s) in the midwest, and they do not disappoint! The prices are on the higher side, but they are veryyyy reasonable for the quality of food! My wife and I both highly recommend Chimney Park, and I highly recommend their Wagyu Beef KC Strip! Chimney Park never disappoints. Outstanding quality of food and service. The crabcakes we ordered as an appetizer were the best we've ever had. My steak was quite good and my wife's scallops were perhaps the best thing either of us has ever tasted. I was transported each time I took a bite. 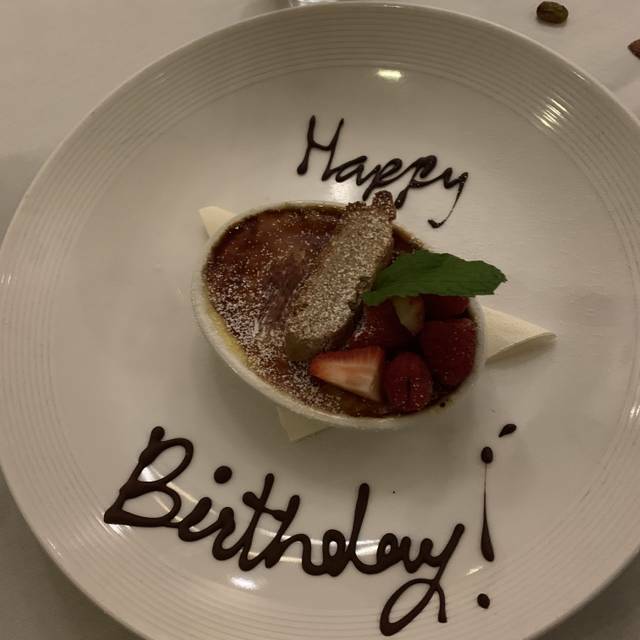 Our server was wonderful and we had a wonderful time celebrating our 20-year anniversary. Our server was awesome. Most of the food was really good but some, not so much. This is a common favorite of mine. The food is always good and the staff friendly. This time we had an issue with a dish that wasn’t resolved in a way that I was thrilled with, but I see this as an occasional hiccup. One of the finest dining establishments in northern Colorado. Service was outstanding and the food was a divine reflection of the love, knowledge, and vision coming from the chefs and cooks in the kitchen. I look forward eagerly to many wonderful meals and memories to come at this establishment. Chimney Park is our favorite restaurant in the area. Everything was fabulous start to finish. We chose the 5 course menu which is so fun and unique. I highly recommend it! Our meals were absolutely delicious! Hands down best bison ever tasted! Always a sure bet! One of the best restaurants in Northern Colorado! Best food I have ever eaten. Ricotta Cheese Gnudi was fantastic - “Cappuccino” of Hazel Dell Mushroom Soup was fantastic and the Great Range Bison New York Strip with Truffle-Thyme Whipped Potatoes was simply the best! My mouth is watering while typing this review. All topped off with the “Black Forest” Chocolate Bread Pudding this evening was memorable. We tried the chef's tasting and were not disappointed. Each course was tasty and beautiful. It looked like the bar had a good menu and some happy hour specials, so we may go back and try that. It is such a nice treat to have a restaurant like the Chimney Park so close! As always everything was amazing. The food and service was wonderful!! 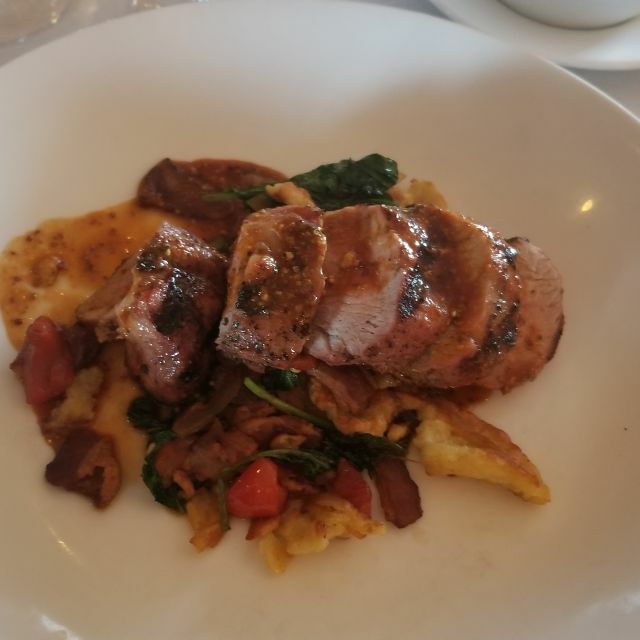 Wonderful food, outstanding service. Highly recommend. These folks continue to maintain the highest of standards year after year. We are never disappointed! Great! We had 2 birthdays & an anniversary. They brought us all lovely desserts. The cocktails were fabulous! We used to be regulars of Chimney Park but with the close of a B&B within walking distance, we stopped going. The food was too good to eat without wine and the B&B eliminated the need for an hour long, potentially impaired, drive. However, we recently found a nearby hotel with a shuttle service so Chimney Park is back on our list. Last Friday, our party of 4 ordered the Chef's Tasting - 4 courses plus desert, every course paired with a very nice wine. Each course is different for each individual so, if you are an agreeable bunch, you actually get to taste 12-16 items from the menu. The meal was fantastic and the wine pairings were flawless. 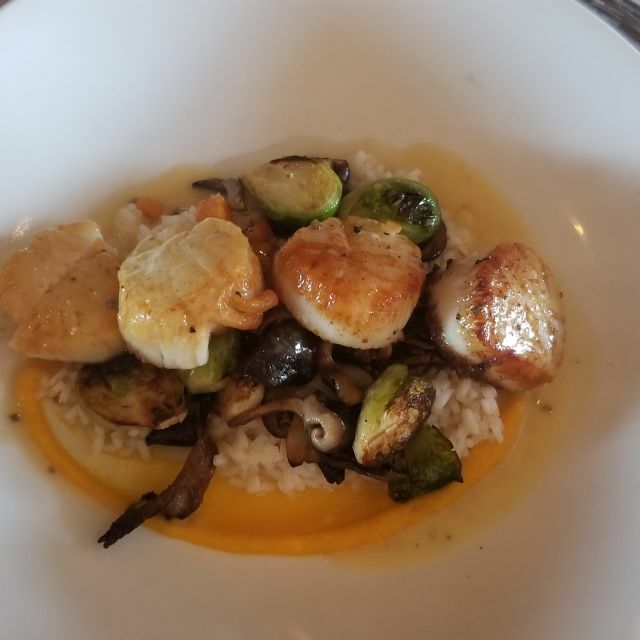 Chimney Park is definitely the best restaurant north of Boulder and a contender for the best in the State of Colorado. We went to Chimney Park for our anniversary dinner. We were seated promptly and overall the service was great. We enjoyed a bowl of the jalapeno cauliflower soup and then I had filet of rib eye and my husband had Icelandic Cod. The filet was delicious but a bit overdone. I had ordered it Medium and it was Medium Well. I did not want to send it back or make a big deal over it and cast a negative on our celebration so I did not tell the server. The steak was still delicious. We were too full to order dessert but were surprised with a beautiful complimentary plate of raspberries and chocolate. 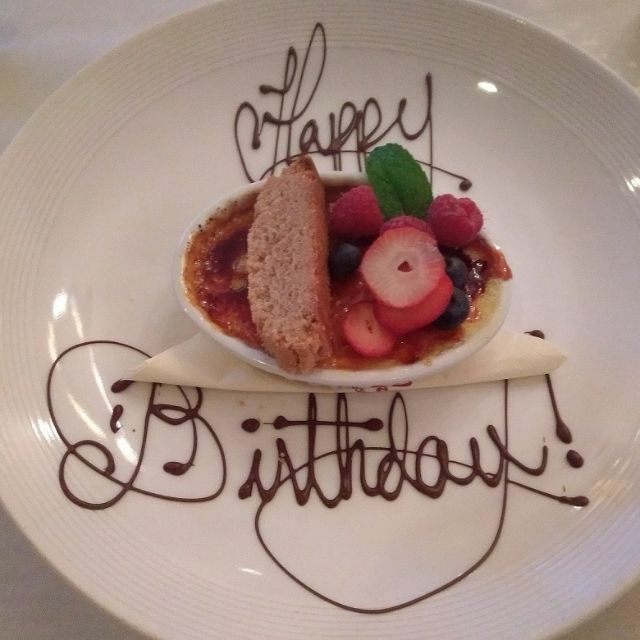 The plate was decorated with "Happy Anniversary" written in chocolate. The restaurant was not noisy so it was easy to have a conversation. It is so nice to have such a great local restaurant nearby! Another outstanding dining adventure. Four of us enjoyed the tasting menu with the wine pairings -- all done extraordinarily well. The chef selections are varied and inventive -- cauliflower - jalapeno soup -- really? --yep, and it was great! Had a marvelous time and many thanks to waitstaff Brian and Chefs John and Caroline and the team. Well done. Great food, great service. They do all the big and little things right, from keeping water glasses filled and serving delicious bread and butter to amazing salads and entrees. Our only complaint: Too much food! We love this restaurant and always have a great experience. Sunday evenings at Chimney Park at particularly enjoyable. The crab cakes were flavorful as always and a great start to a relaxing meal. The grilled Mahi with shaved fennel, apple, raisins, and fingerling potatoes was so delightful paired with a white wine. The fish was grilled perfectly and the presentation allowed one to meander around the plate finding flavorful elements everywhere. Well done. We had a great dinner! This is go to place for a very nice dinner that is always fantastic tasting with excellent service. Not a cheap place to eat but worth the price. We had a delicious meal with excellent service from Brian. Drinks were fab. We all loved our entrees. Hard to believe such a small town has such a great restaurant and chef. Excellent in every way and have already recommended to several people! 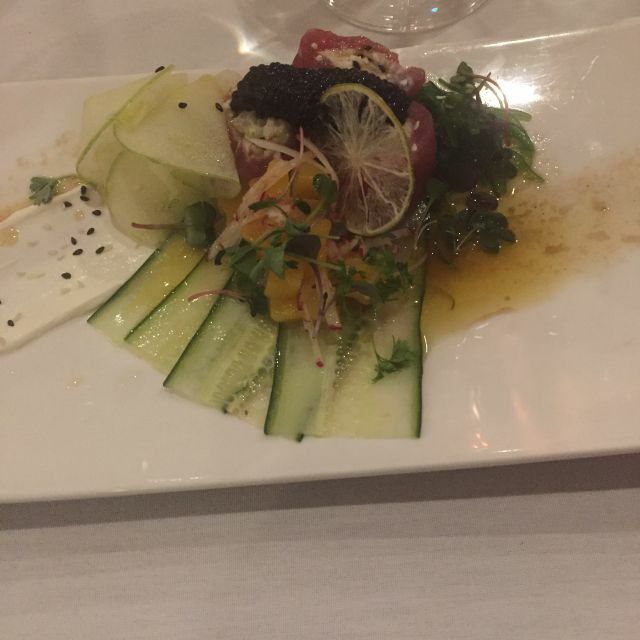 Outstanding food and experience. Recommend the 5 course chef selection. Had a great time! The food and wine were amazing! Bryan our server was charming!